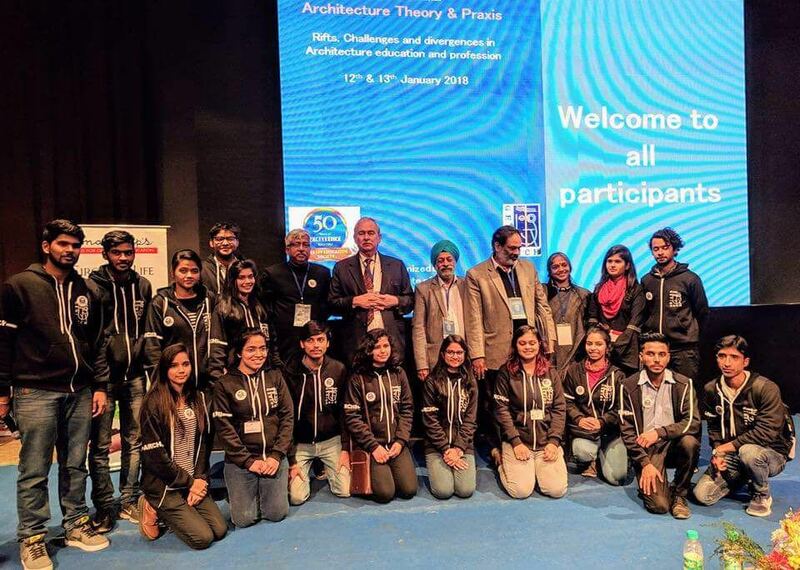 Noida: Apejay Institute of Technology – School of Architecture & Planning (AIT-SAP), Greater Noida successfully conducted a two-day ‘National Architecture Education Seminar’ in Noida. The Seminar covered a wide range of topics concerning Rifts, Challenges and Divergences in Architecture Theory and Praxis. Eminent architects from different parts of the country, both from the Academia and Practice, participated in the Seminar. The speakers gave comprehensive presentations and there was a purposeful interaction between them and the audience, which comprised the Apeejay B. Arch students, alumni, and faculty, students from various colleges and other professionals. The first technical session started with a spell-binding presentation by the key speaker, Architect Christopher C. Menninger from Pune, a very eminent and respected architect of the country. 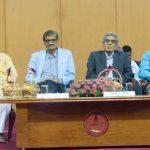 Architect Vijay Garg, Vice President of Council of Architecture, shared important statistics of the status of Architectural Education and gave directions to both the students & the faculty and laid a blueprint for Architectural Education in India in the future. Architect Yatin Pandya from Ahmedabad unfolded different layers of understanding Architecture and asked students to change their mindset. Dikshu Kukreja from CPKA, New Delhi – one of Asia’s top ten firms,shared his experience and showcased architectural projects of large magnitude, inspiring students to dream big. Architect Charanjit Singh Shah, better known as the ‘Airport King’ for handling multiple airport designs, gave nuggets of wisdom to students on how to bridge the gap between the challenges of ‘Academics and Practice’.